Windows Azure BizTalk Services was released on TechEd this year and it is a brand new Windows Azure service that is now in a public preview mode. Sam has been working with Windows Azure BizTalk Services over the past year in close collaboration with the product team. In this session, he will demonstrate the different integration capabilities that are part of Windows Azure BizTalk Services and will talk about the lessons that he learned, while working for Codit, as a launch partner with Windows Azure BizTalk Services. 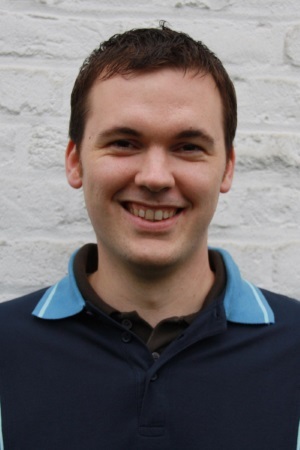 Speaker: Sam Vanhoutte is CTO and Product Manager with Codit. Based in Belgium, Sam is a Microsoft BizTalk Virtual Technology Specialist and has extensive experience in building integrated enterprise, ESB and SOA solutions. Because of the specialized focus on integration on Microsoft technology, Sam is part of Microsoft's Connected Systems and Azure Advisory boards and is a Windows Azure Insider. Sam co-founded the BizTalk User Group in Belgium. While managing and architecting the online integration platform "Codit Integration Cloud", Sam has been focusing on Cloud integration with the Windows Azure platform the last years, focusing on the Windows Azure Service Bus and BizTalk Services technology. Sam is blogging on the Codit blog and tweets via @SamVanhoutte.